Mr. Osborn earned his law degree from the University of Illinois in 1980. He was awarded a BSIM undergraduate degree from Purdue University in 1977, where he graduated with honors. Mr. Osborn was admitted to the Illinois Bar in 1980. He is also admitted to the United States District Courts in the Northern and Central Districts of Illinois. He is a member of the Illinois State and Whiteside County bar associations. He served as the President of the Whiteside County Bar Association in 2003-2004. In addition, he is a member of the American Bankruptcy Institute. 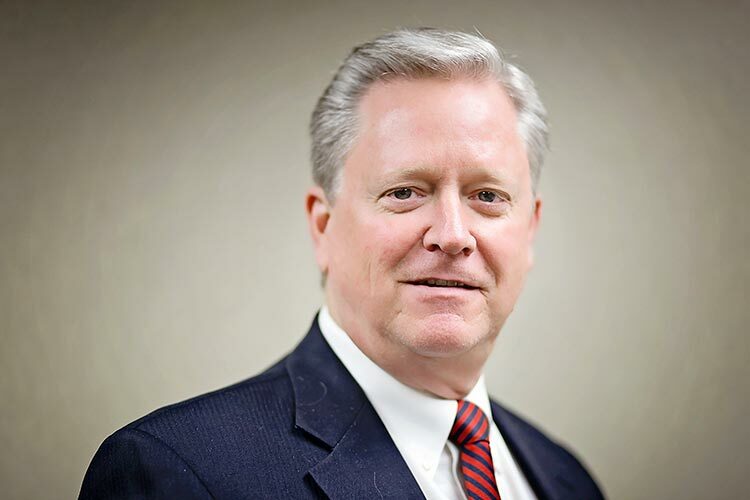 Mr. Osborn served with the Illinois State Bar Association as a member of the Commercial, Banking and Bankruptcy Section Council, 1994-2002 and 2010-present, Chairperson 2000-2001. He also served four years on the Family Law Section Council and is now in the 17th year on the Continuing Legal Education Committee, for which he served as Chairperson from 2007-2009, the first years in which MCLE compliance reporting was required. As a CLE Committee member, he has served as liaison to the State and Local Tax Section Council. Mr. Osborn has been a featured speaker at numerous continuing legal education seminars on bankruptcy and family law matters, and has also presented programs to a variety of Bankers’ groups. After the passage of revisions to Article 9 of Illinois’ Uniform Commercial Code, he made presentations on the effects of the revisions. He also has made presentations to Northwest Illinois bankers on topics ranging from BAPCPA, participation agreements, letters of credit, the Equal Credit Opportunity Act, Dodd-Frank, mortgage modifications, and ag loan workouts. Wearing his family law hat, in October 2004, he presented programs in Chicago and Bloomington on creative drafting in marital settlement agreements. In April 2005, he spoke in New Orleans on cross-examination techniques; January 2006 in Bloomington, Illinois on divorce for farmers; October 2006 in Collinsville and Chicago, Illinois on avoiding pitfalls in marital settlement agreements; and in December 2007 in Chicago and Springfield on discovery techniques. In June 2008, he moderated three programs on professionalism at the annual meeting of the ISBA in St. Louis. In 2009, he has made presentations at seminars in Edwardsville and Chicago and moderated the ISBA’s Basic Skills programs for new admittees. He was appointed by then-ISBA President Bob Downs to serve on the Special Task Force on minimum continuing legal education (MCLE). In 2011, he presented a program in Peoria on family law trial tactics and one in New Orleans on post-majority educational expenses. He was invited back to the New Orleans program in 2013 and 2019 when the topic was Bankruptcy headaches for family law attorneys. He spoke in 2011 in Galena and Chicago on statutory and case law updates for commercial collection attorneys and in Oak Brook and Chicago on bankruptcy issues for real estate attorneys. He was a moderator and speaker in the substantive law track of the ISBA’s Solo & Small Firm Conference in September 2012 and spoke again on bankruptcy in October 2013. In the fall of 2016, he received high marks for his presentation in Galena on suits against members of dissolved LLCs, a topic he revisited in 2018 in Chicago. Mr. Osborn has presented topics at the Basic Skills program for newly admitted attorneys for nine years. Incoming ISBA President David Sosin reappointed Mr. Osborn to the CLE Committee and the Commercial Banking and Bankruptcy Section Council for the 2019-20 ISBA term. He also was member of the special task force on membership, the Solo & Small Firm Conference planning committee and most recently, the first Board of the ISBA Leadership Academy. Locally, Mr. Osborn served for over 10 years on the board of Winning Wheels, Inc., a residential facility for physically disabled young people. He is also a past President and currently the Secretary of the Sterling Schools Foundation, which operates an auditorium on the campus of Sterling High School, issues scholarships, awards mini-grants to teachers, sponsors Distinguished Alumni awards and publishes newsletters distributed to alumni at no cost to them. He is a Rotary Scholar, Past President and Paul Harris Fallow as well as a fellow of the Illinois Bar Foundation.